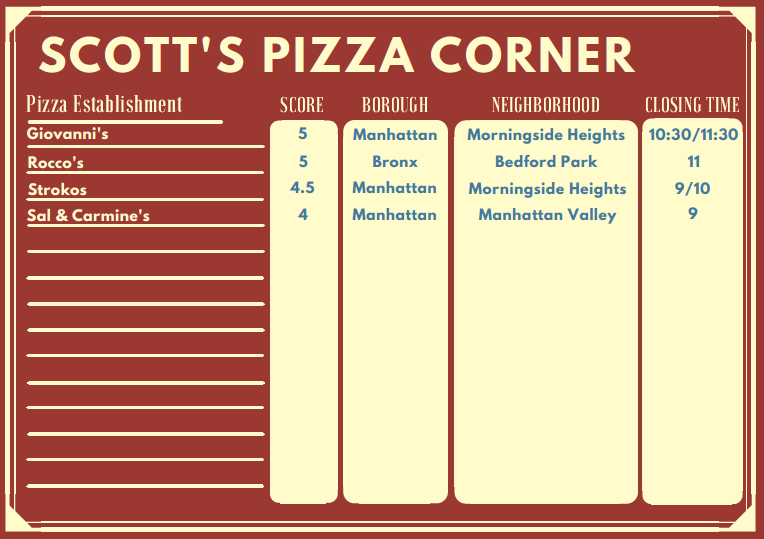 Scott loves pizza, and he lives in New York. 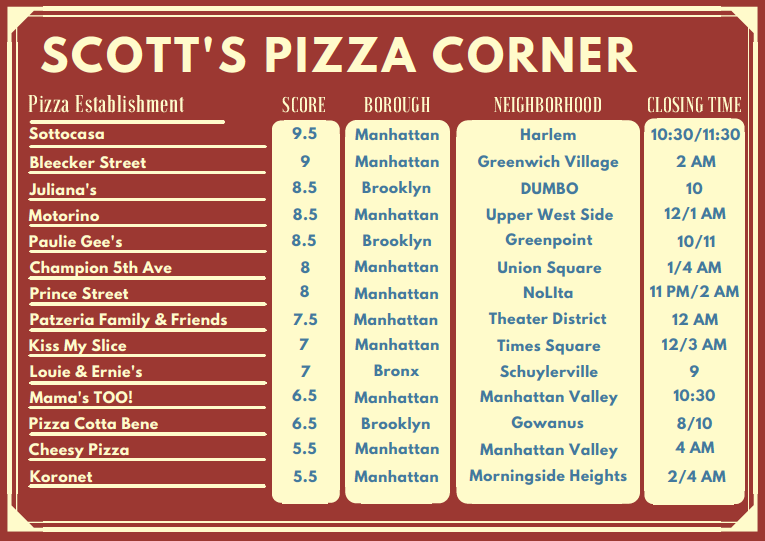 There is no better excuse to explore all of the pizza haunts this great city has to offer. If you didn’t see his piece last week, you can find that here. Buon appetito! 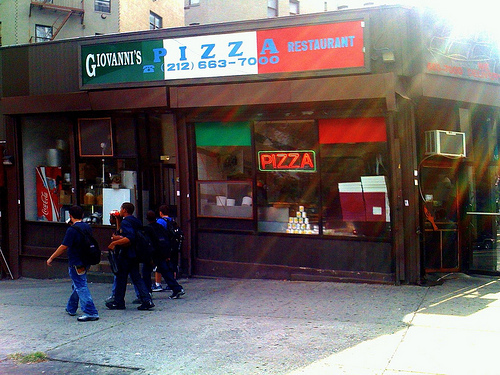 New York thin crust enjoys the fame it does because of places like this. So thin, yet structurally sound and delightfully chewy. Truly ideal. However, pizza is comprised of more than just crust, and the cheese and sauce bring little more than serviceable, mild pleasure to the table (perhaps other toppings are a different story). An incomplete masterpiece in the relatively placid East Bronx, with a helpful staff. Salty, with flavorless sauce and crust that contributes nothing positive except enough crispness on the bottom to make for a reasonably pleasant texture. My favorite slice joint in the city so far. Awesomely flavorful cheese. The crust is perfectly crispy on the very bottom while being chewy throughout, and the sauce (much more noticeably on the margherita than the regular) bursts with fresh, tangy tomato flavor. Splendid ratio of the three, though the crust remainders can be safely left behind (unless that’s your thing).